SFI Trucks and Financing has a wide selection of new and gently used Freightliner tractors. 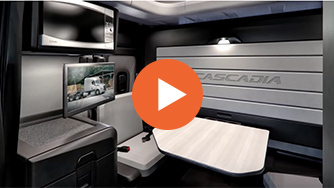 With its aerodynamic exterior, weight-saving components and Auxiliary Power Unit (APU), the Freightliner Cascadia is designed to positively impact your bottom line. SFI also offers Freightliners with a premium package that still delivers low operation costs, while also providing more interior comforts. Features may vary on trucks through SFI. Complete our easy credit application. As we get to know you and help you set up your business, we’ll help you find your perfect truck.